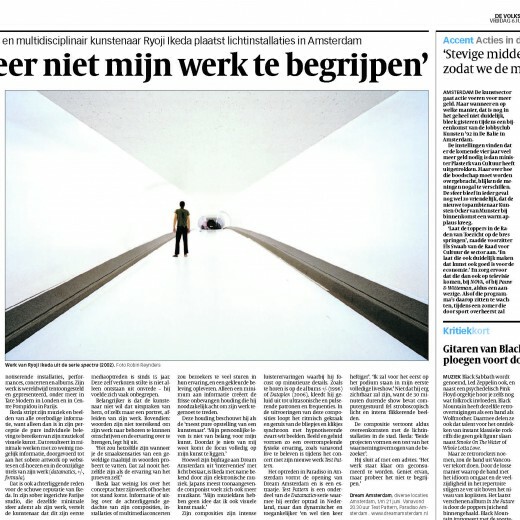 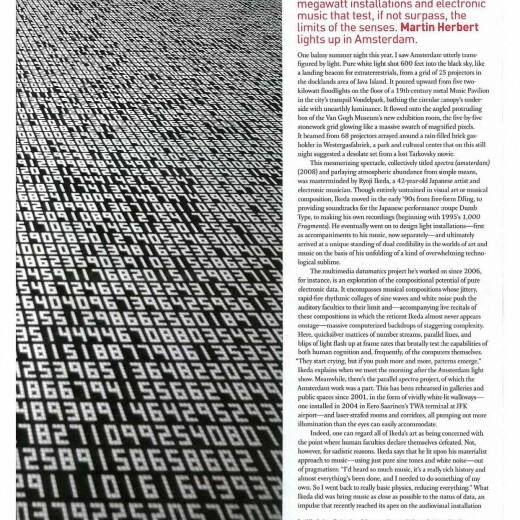 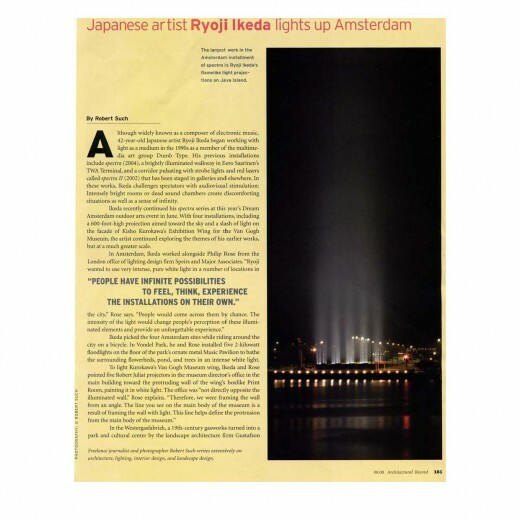 After Spencer Tunick in 2007, Jamain Brigitha selected renowned composer and visual artist Ryoji Ikeda (Japan 1966) to create site-specific art projects for DREAM AMSTERDAM 2008. 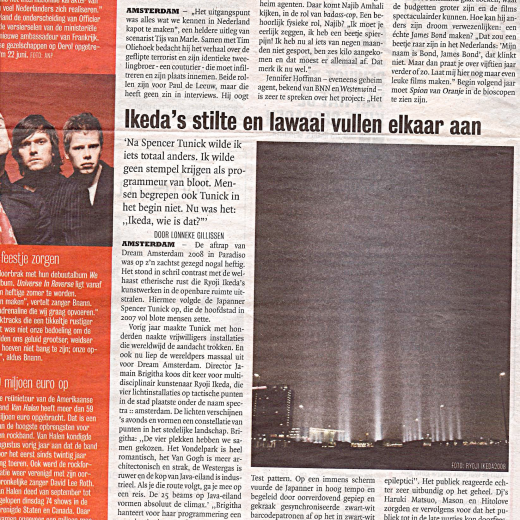 Ikedas commission for Dream Amsterdam Foundation presented his first large-scale artworks for public spaces and marked a new direction in his artistic career. 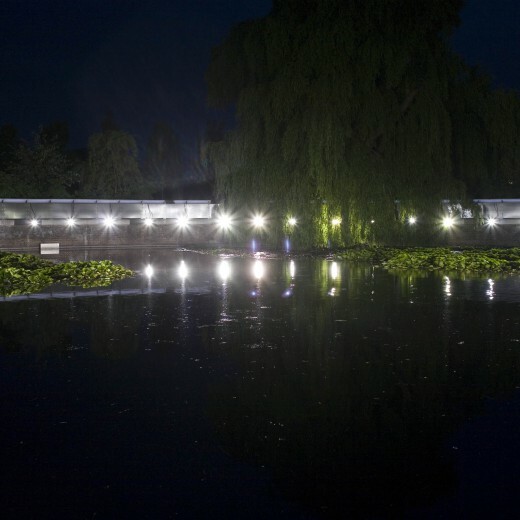 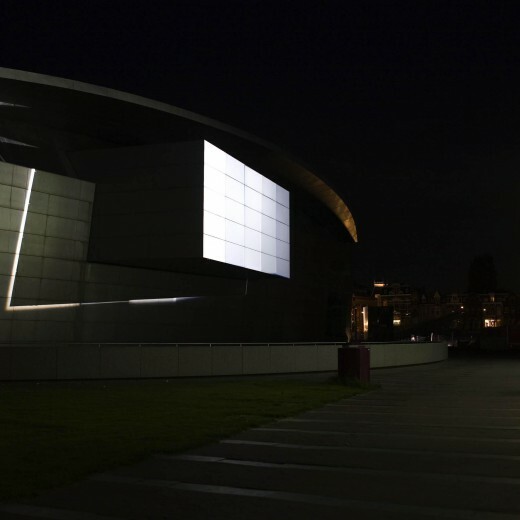 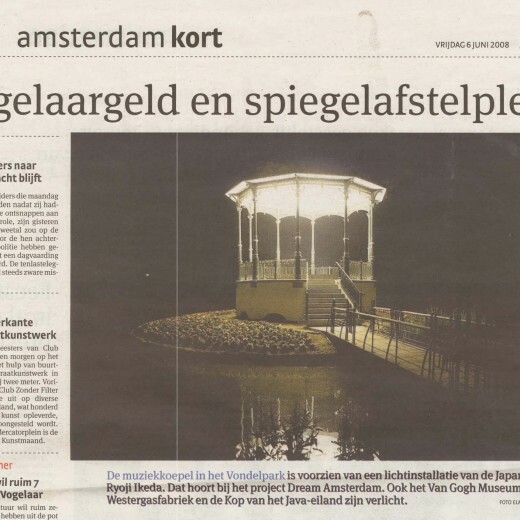 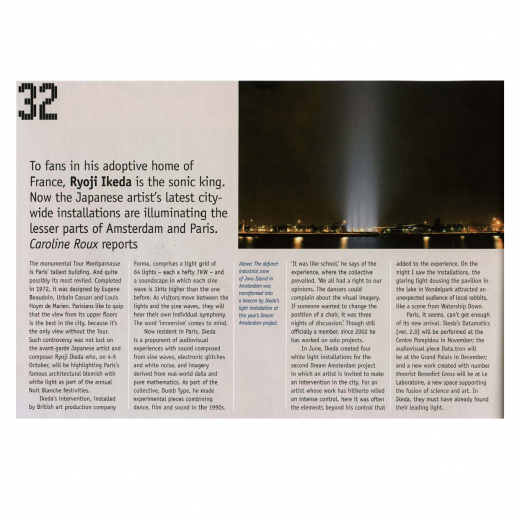 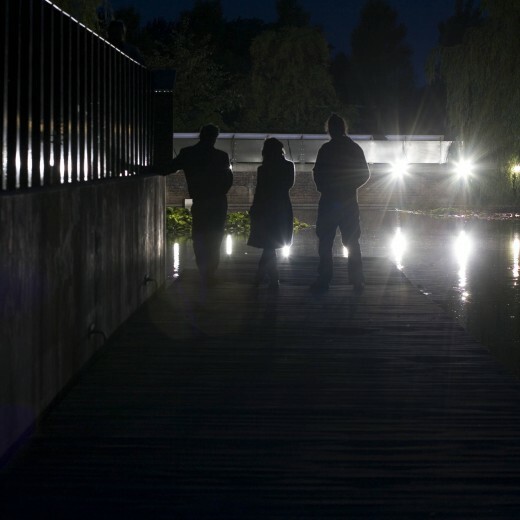 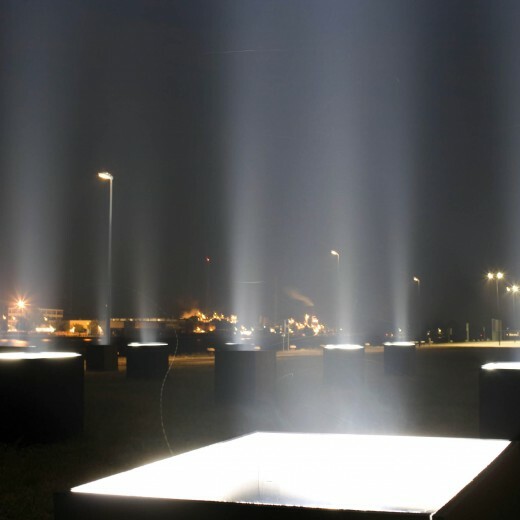 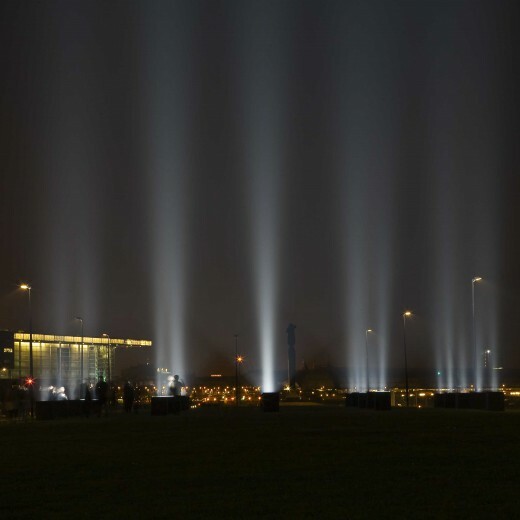 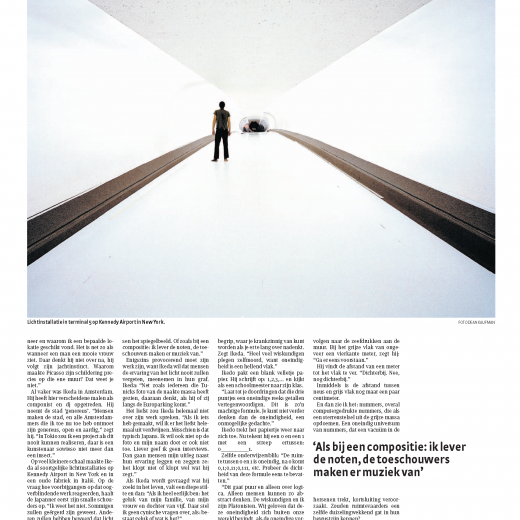 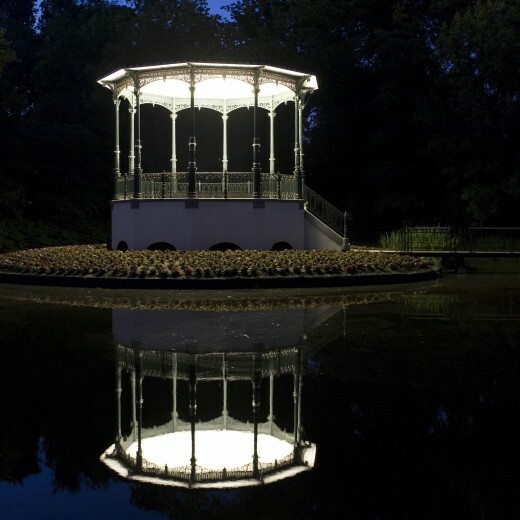 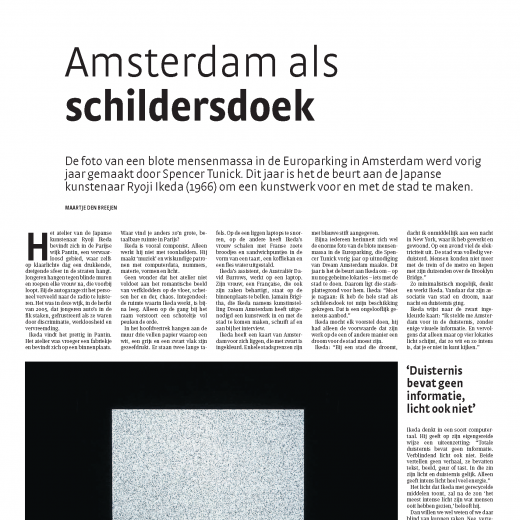 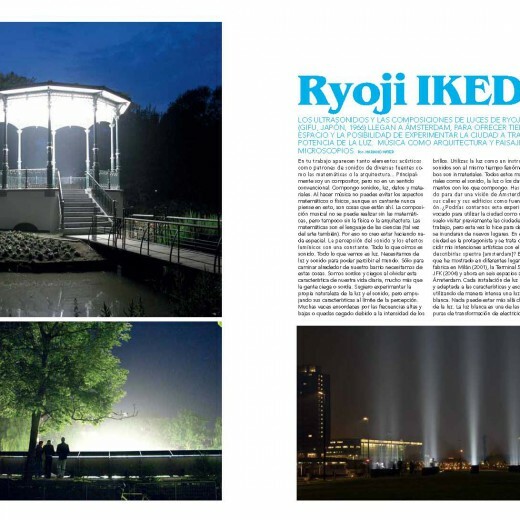 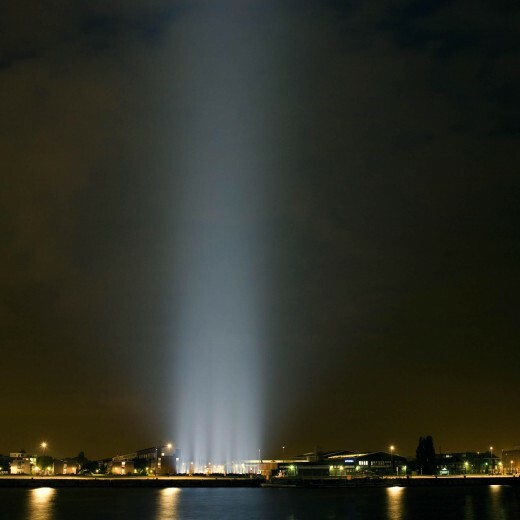 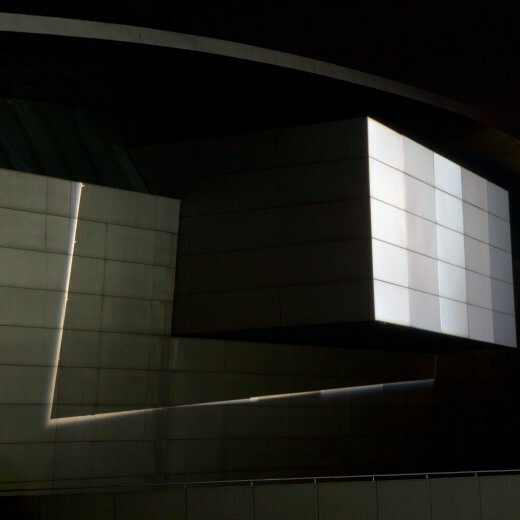 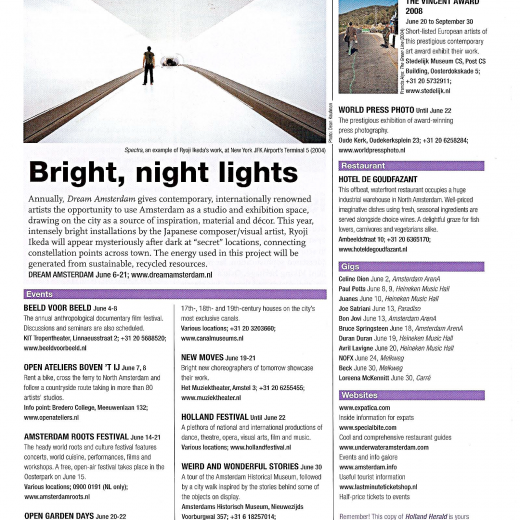 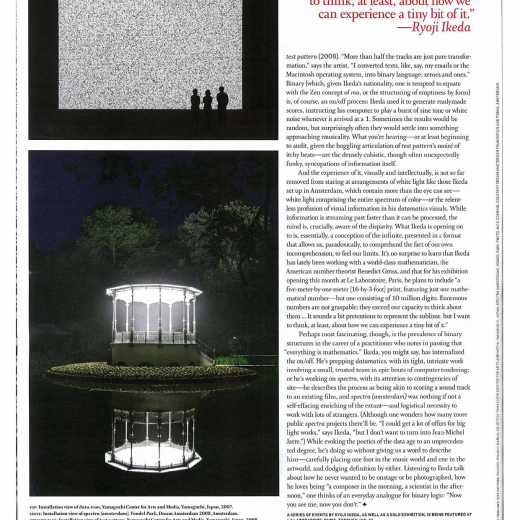 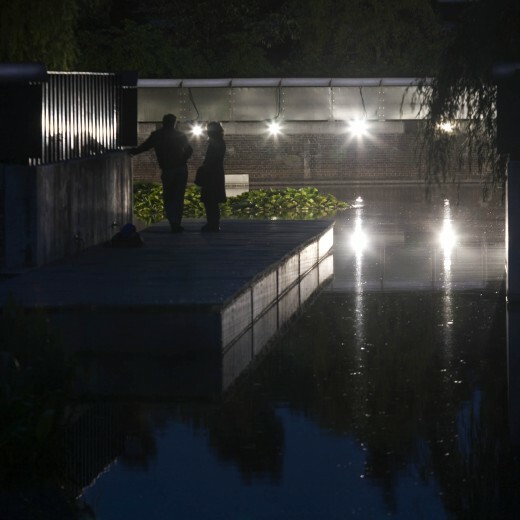 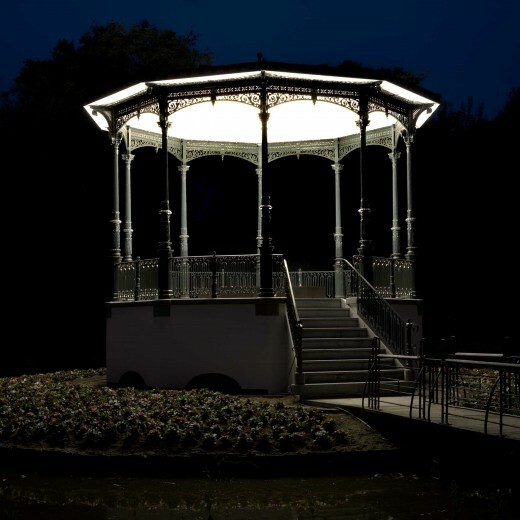 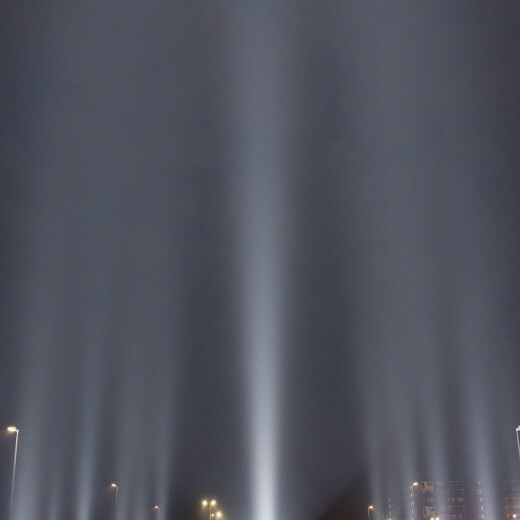 Ikeda used pure light as the material for his interventions on four prominent locations in Amsterdam: Vondelpark, Van Gogh Museum, Westergasfabriek and Java-eiland. 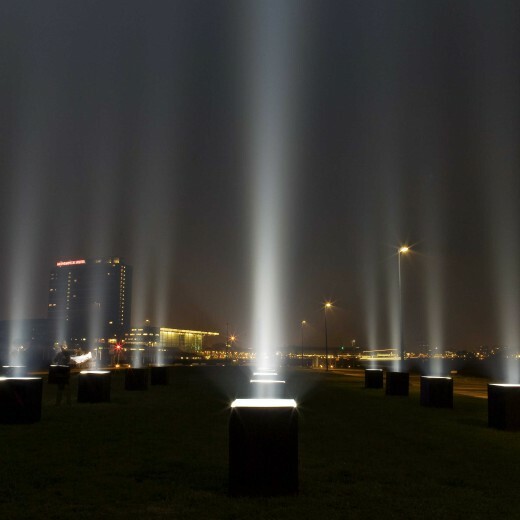 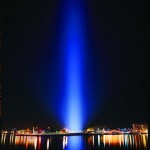 His intense bright installations appeared mysteriously, connecting a constellation of points across the cityscape. 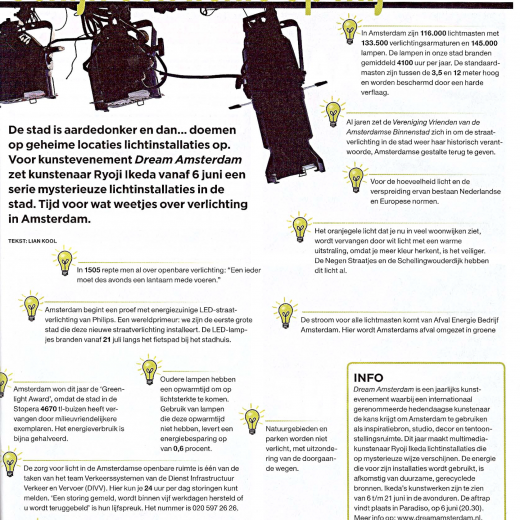 The energy used in this project was generated from sustainable, recycled resources. 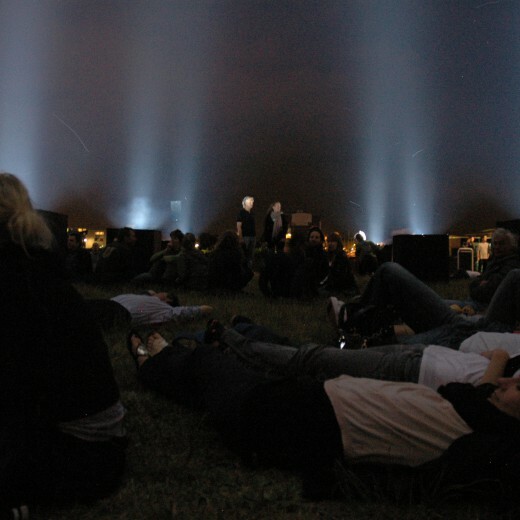 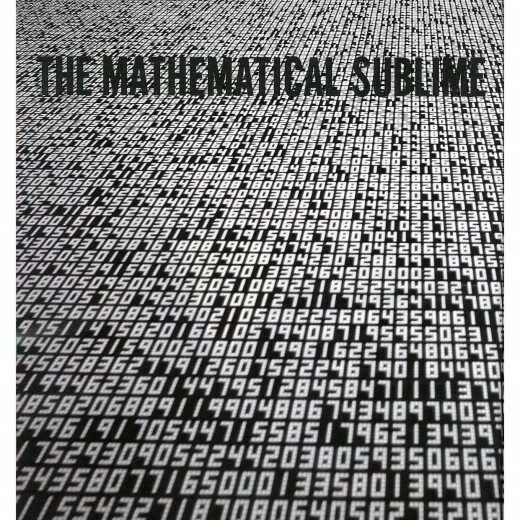 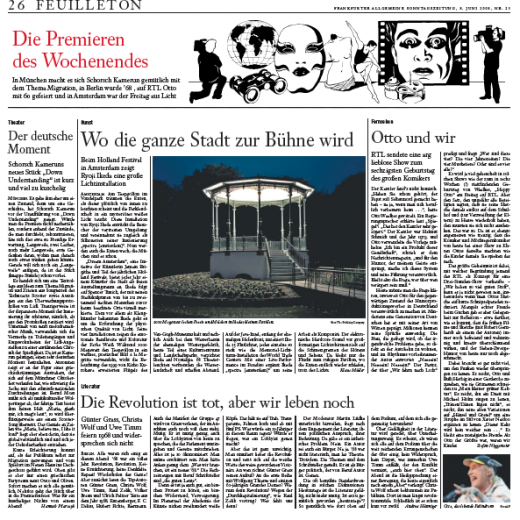 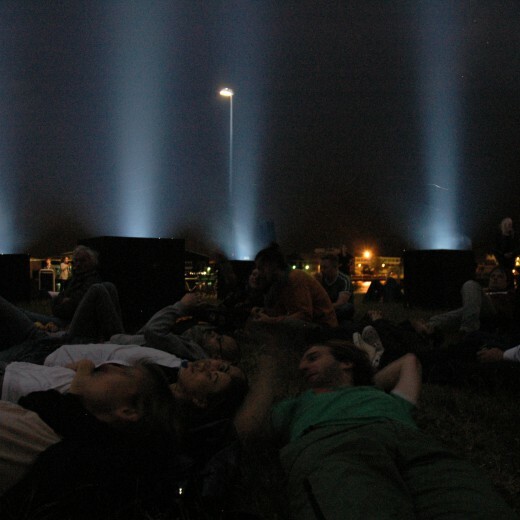 The site-specific art projects were on show from June 6 until June 21, 2008. 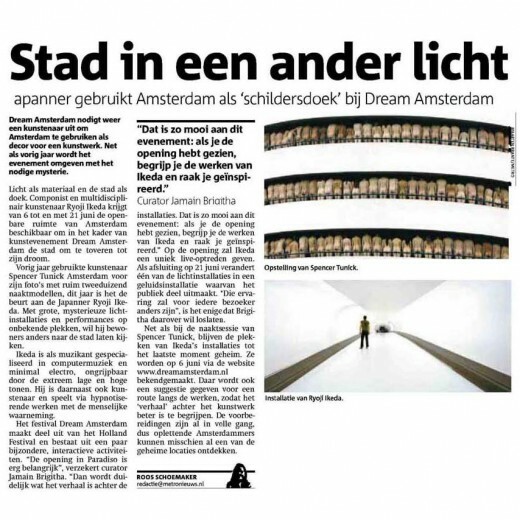 DREAM AMSTERDAM 2008 was realised in collaboration with UK arts production company Forma and took place within the frame of the Holland Festival. 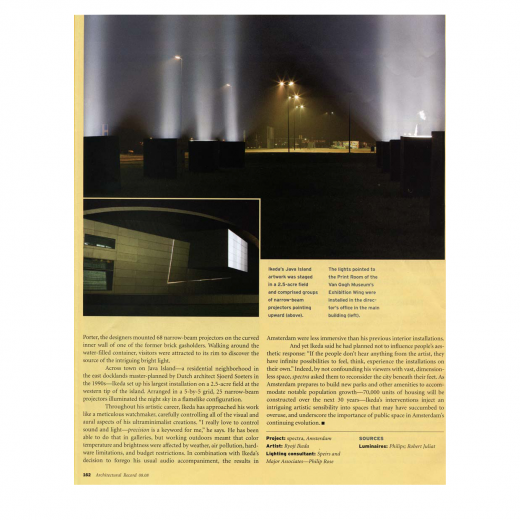 The opening on June 6th, was realised in collaboration with Paradiso. 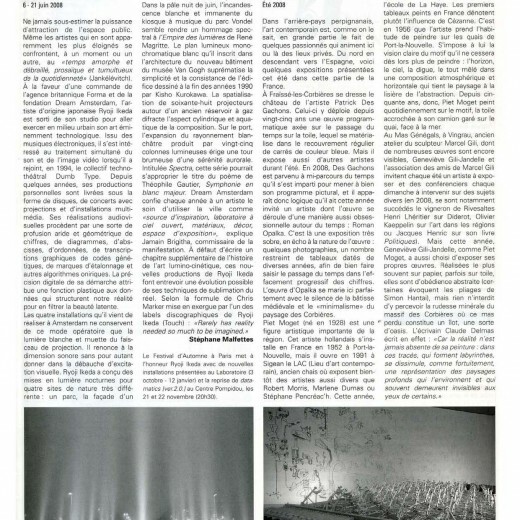 For more information watch the news item by Associated Press – Horizons here and see the factsheet here. 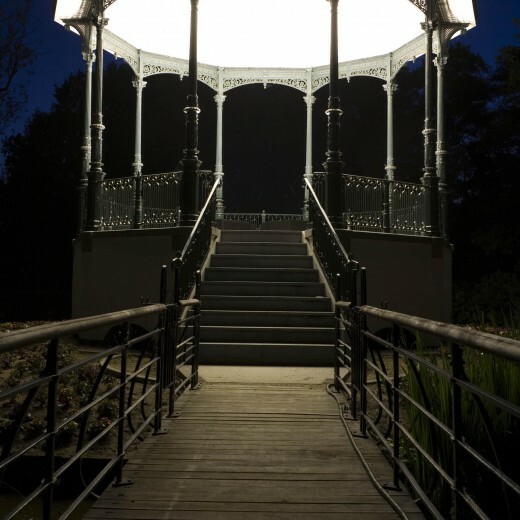 See the installations in 360, through panoramic images by Henri Smeets here. 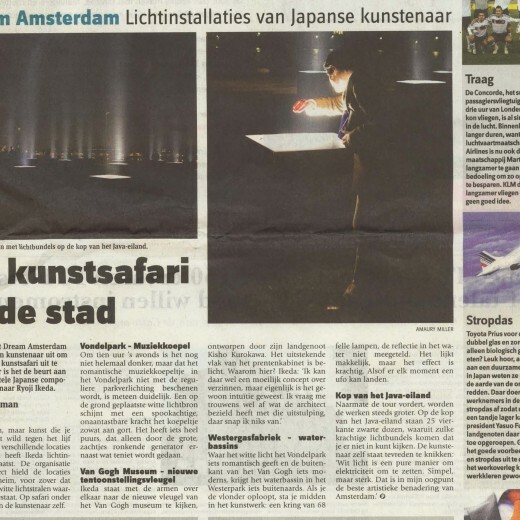 Made possible by Amsterdam Fund for the Arts, SNS REAAL Fund, Netherlands Foundation for Visual Arts Design and Architecture, Gemeente Amsterdam, Amsterdam Partners - I Amsterdam, Stadsdeel Amsterdam Oud-Zuid, Stadsdeel Westerpark, Stadsdeel Zeeburg, Dienst IVV, Japan Foundation, Triodos Bank and Kunstenaars & Co. Production Partners: Forma, Marcosch Media / Presenting Partners: Paradiso, Holland Festival, episode publishers, HEMA / Exhibition Partners: Flashlight, Nuon Business, Ebatech, Philips, Van Gogh Museum, AMPCO Pro Rent, To Serve and Protect / Creative Partners: RANDOM, DAY, clev.nl, Philip Rose, Joost Grootens / Marketing and Communication: Paul Verstraeten Communicatie, The Publicity Company / Preferred Hotels: Hotel Roemer - Hotel Vondel / Transport: Taxi Jihene.